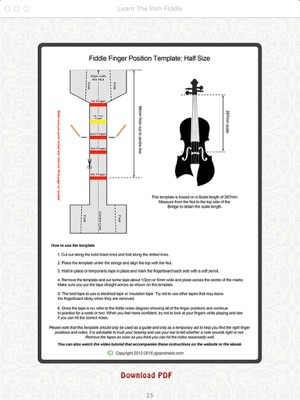 Learn the Fiddle Volume 1 Tutor Book. 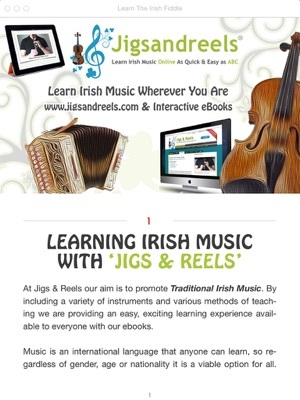 This fantastic interactive how to eBook is a must for anyone who wants to learn the Irish music and the Fiddle fast! 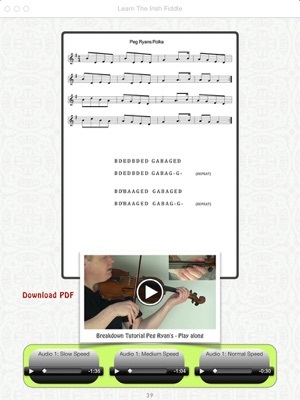 With easy to follow step-by-step video tutorials, written tutorials with photographs and images, you’ll be on your way to playing Irish traditional music before you know it. 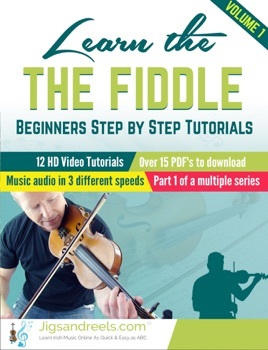 •	12 HD Video tutorials. •	Music audio in 3 different speeds. 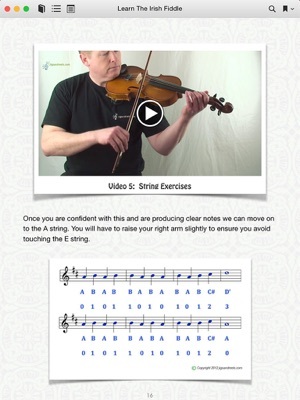 This eBook teaches you how to play music by using the ABC notes and audio method. 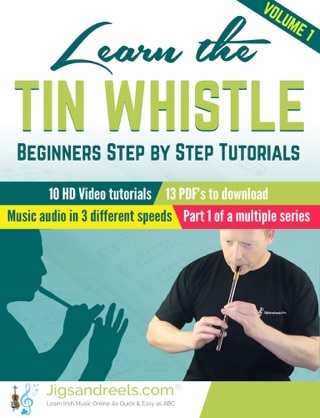 Like playing by ear, the tutorials encourage you to listen to the different speed audio for the tunes and familiarise yourself with the melody as much as possible. 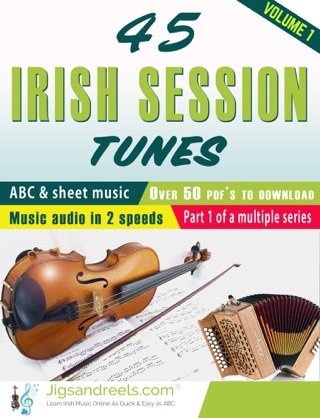 With the very simple notes written out in ABC, you’ll be playing Irish music in no time. For the people who already know manuscript music, you’ll be pleased to know that each tune comes with sheet music as standard. 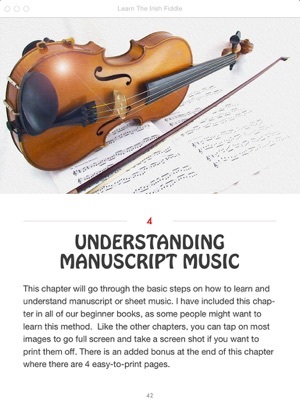 For those who want to learn manuscript or sheet music, then we have a section on this method at the end of all our beginner eBooks.